When most of us think about summertime, we tend to think of backyard barbecues, fun in the sun, extra time to spend with family, and family vacations. The last thing on many of our minds are issues that might come about with our home's plumbing systems, but it is definitely something that is worth paying a little bit of attention to now so you don't wind up with a serious headache on your hands later. The warmer months of the year can actually be the prime time for a number of different plumbing issues and it pays to be aware of exactly what they are so you know what to do in case you wind up experiencing one of them in your home. So, what can you do to ensure that your property is well protected from serious plumbing problems this summer, and what are these issues exactly? To answer both of those questions, our team of experienced Austin plumbing professionals have taken the time to put together this short list detailing exactly what some of the more common issues are and what you can do to keep your home protected from them over the course of the summer. For a good number of us out there, summertime is the time of year that we look forward to breaking out the grill and hosting enjoyable summer cookouts for family and friends. If you are one of the many homeowners who enjoy hosting these kinds of activities, you need to be careful in how you are disposing of your waste food and cooking byproducts. While your produce might be organic, it is generally not a good idea to put any of it in your in-sink garbage disposal, especially if you are trying to get rid of hard vegetables or fruits. These kinds of materials can actually cause a great deal of damage to the blades of your disposal or lead to the kind of clogs that you just won't be able to get out easily. Used cooking oils and grease can also be harmful to your disposal unit, so it is wise to dispose of these substances elsewhere after cooking out. In addition, anytime you put anything down your disposal unit, you want to be sure that you are running the cold water both before and after to help clear away any remaining bits of food or debris. In addition to the summer heat, summer showers are a fairly common thing, especially as the air starts to heat up during the afternoons in the coming months. When your area starts to experience excessive rainfall, this extra water can sometimes find its way into sewer pipes through cracks and the like, and might start to cause your sewer line to back up into your home. Another issue that many homeowners tend to experience is invasive tree roots. The summer months are the growing season for many different types of trees and plant life, and sometimes the roots of these trees can spread underground to crack and invade your plumbing pipes. 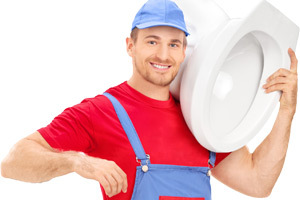 If you start to notice any signs of sewer lines backing up in your home, like water backing up into the toilet or into your bathtub drains, you are going to want to call in a plumbing professional as quickly as possible. Issues with your sewer lines don't tend to go away on their own, and they can cause serious damage throughout your home in very short order if they aren't treated. With more members of the family home on any given day, it's likely that your home's toilets are going to start seeing increased usage, especially during the times of the day when the kids would be at school and the like. Because of this increased usage, it is important to make sure that everyone is on the same page about what can and can't be flushed, and how much toilet paper is a responsible amount to use. One of the most common issues we see during the summer months are clogged toilets and drains, and while the more simple ones can be cleared fairly easily by a plunger, the more difficult ones might actually require a professional plumber to come in and take care of. If you are looking for a professional plumbing contractor in Austin, give us a call today at 512-445-5212 or complete our online request form.